It’s a sad truth, that summer is nearly over. I spent most of the summer wishing it wouldn’t be so hot, and now that we have cooler days (we are on severe thunderstorm warning as I type) it’s somewhat bittersweet. 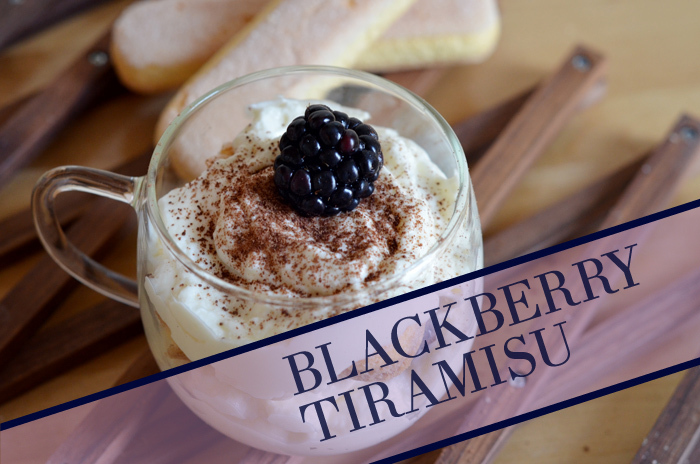 One last hurrah to berry season which I love, and it’s a blackberry tiramisu. It doesn’t have to be blackberries, I have made this with cherries (pitted and halved) which was divine too. Blackberries are really nice for this recipe though because they are fairly robust and have a more subtle flavor than some of our other favorites in the berry family. I love tiramisu because you never go wrong with it. 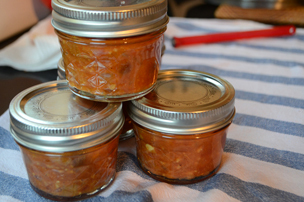 You can make it the night before, it’s easy to transport and it’s usually a crowd pleaser. I do sometimes feel a bit funny about using raw eggs in it, especially if I’m giving it away. So this is an eggless recipe which worked really well; but I will post my traditional tiramisu recipe at some point too. 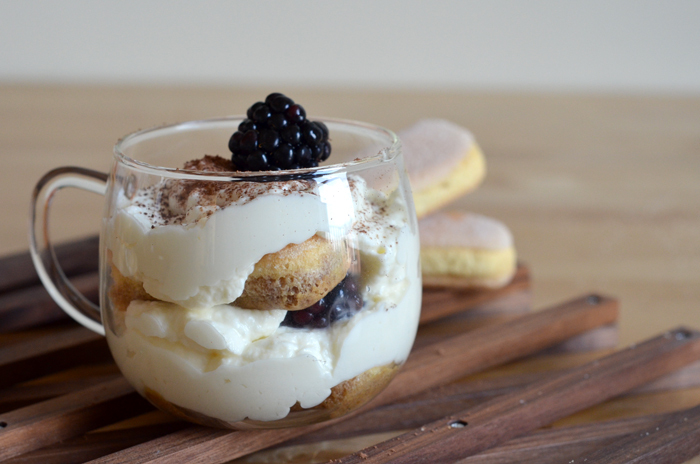 This recipe makes 4–6 individual serves, or a 2-layered tiramisu in a small container. 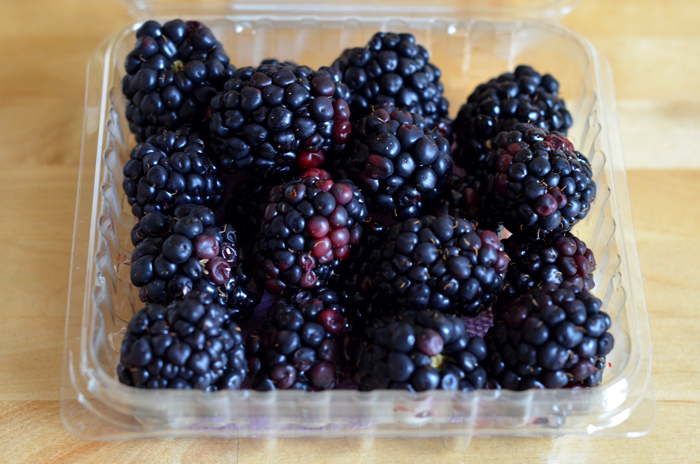 The blackberries that I used – so photogenic. Make 150ml of coffee, a little stronger than how you would drink it normally. 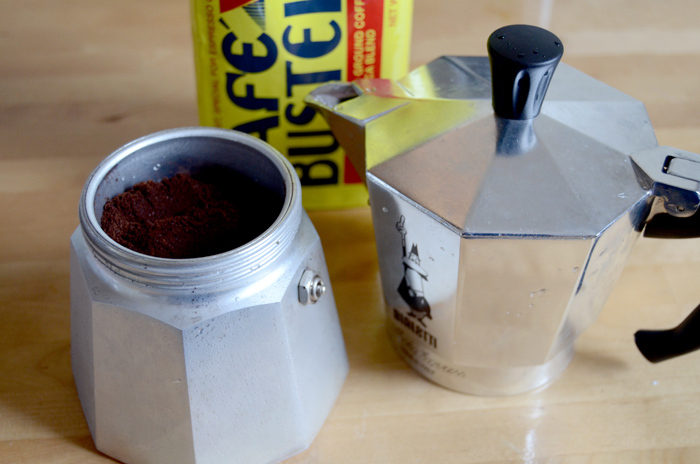 I used an espresso machine but instant coffee works fine as well. Once your coffee is brewed, pour it into a wide bottomed bowl and add one teaspoon of sugar and stir well to dissolve. Put aside to cool to room temperature. Once it’s cooled, you can add 1 tsp of liqueur if you are using any. 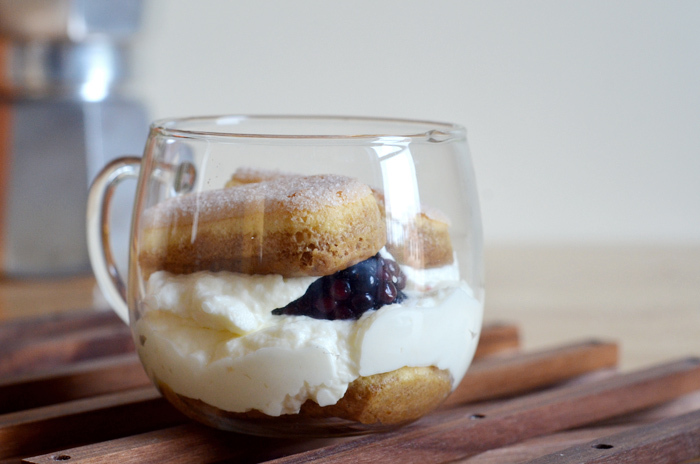 Take the mascarpone out to soften to room temperature. 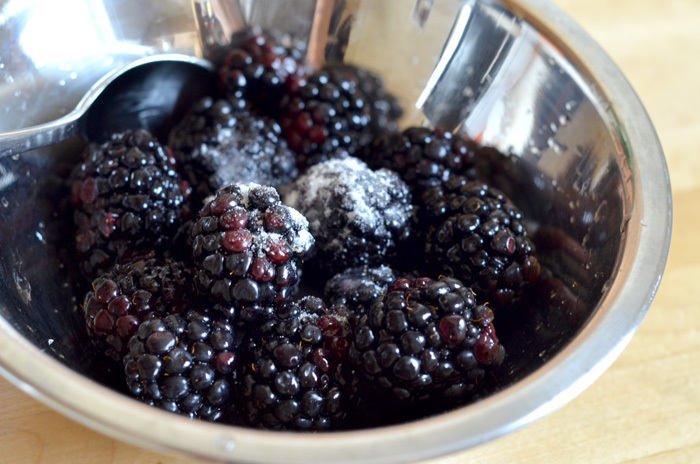 Wash and macerate the blackberries in a bowl with one teaspoon of sugar and one teaspoon of liqueur, if desired. Keep in the fridge for 30 minutes or until the coffee has cooled. 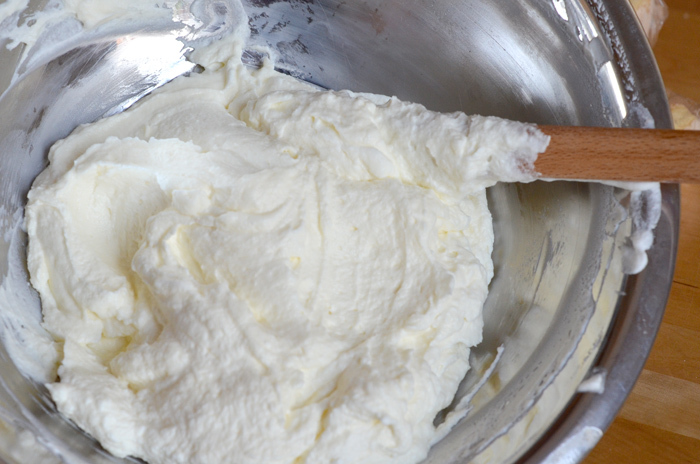 Whip the fresh cream and one teaspoon of sugar to soft peaks for the cheese mixture. Add one teaspoon of sugar to the mascarpone cheese in a bowl. 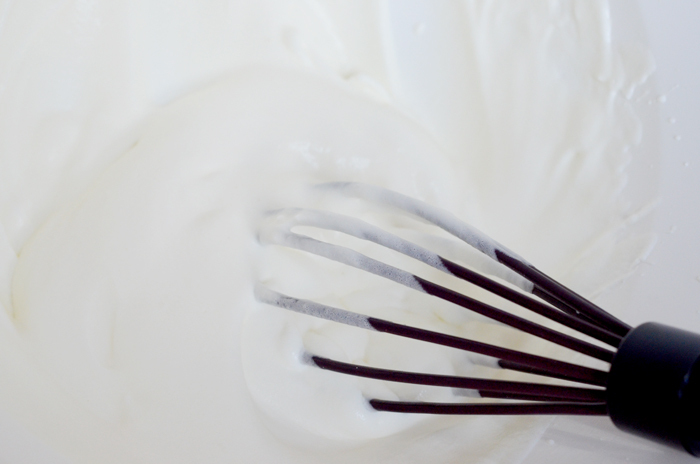 Add half of the fresh cream and mix well. 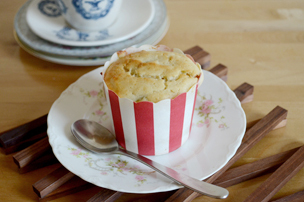 Fold through the other half gently to keep the mixture fluffy and airy. 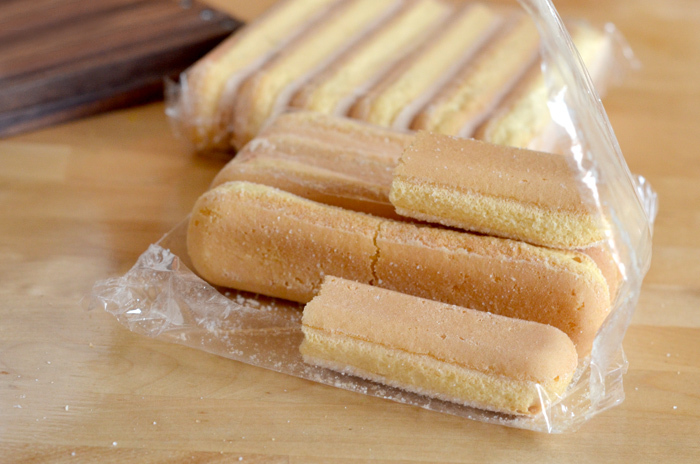 Break the Savoiardi biscuits into half before opening the packet. Take two pieces, soaking just the bottom surface for a few seconds, and place them in your wine glass or dessert cup. This is a great dessert to do in glass cups or wine glasses, because it’s a little more free form and the berries are as cute as a button. Layer the biscuits with some of the cheese mixture, berries, cheese mixture, then a second layer of biscuits. Top the dessert with a final layer of the cheese mixture and allow to sit overnight in the fridge. Just before serving, sprinkle some cocoa powder and garnish with a blackberry.